You are legally entitled to cancel your order and return the goods within 7 working days for a full refund by law, we have extended this above the legal requirement to 30 days allowing you ample time to decide if an item is suitable for you. We understand that you may wish to do your Christmas ordering early, but do not want to lose out on our 30 day returns policy as a result. All orders placed on, or after 1st November will have the normal 30 day returns policy extended until January 13th. All returned jewellery should be in a new, resalable condition, without scratches or marks, and in all original packaging. We strongly advise that if you are not sure on a product that you do not wear it, other than trying it on as we will not refund on scratched, or damaged goods. To return an order for a refund contacting us by email or telephone and quoting the order number supplied to you. We must state legally that your refund will be paid within 30 days, however in reality this is usually within 3 working days. We are aware that despite every effort to order the correct size of ring that sometimes the size will be incorrect, and that you will need to exchange the ring. We are happy to exchange any ring purchased from us for a different finger size, style or finish within 30 days of purchase (extended at Christmas time for purchase made 1st November can be exchanged up to 13th January) subject to our terms and conditions below. 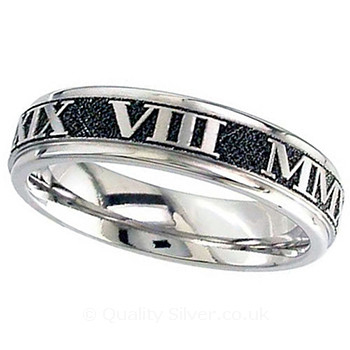 Most of our rings are in stock and can be exchanged quickly, however some rings may be specially made, or specially ordered so the normal advertised time frame, and product stock levels will apply on the live website. We would advise you check availability of your required design and size before returning any order. Most of our rings on the website can be exchanged free of charge (within our normal terms and conditions) + return postage. Rings that are specifically made for you such as Ti2 and Geti brands do carry a 25% restocking fee as it is unlikely that we will be able to sell the ring without a discount, however you would have been made aware of this at the time of order. We are also unable to refund on or exchange any product that has been engraved. We are happy for you to receive an item and return to us for engraving once happy with the item. You are responsible for the cost and risk of loss or damage when returning the goods to us. We strongly advise that you use an insured tracked service as we do not accept liability for any items lost or damaged in transit. Please include your order details, name and address and how you wish us to proceed with your return, without these details we will be unable to process your return. We do occasionally have parcels returned to us with insufficient postage. Please note that although it may possibly arrive with us, the majority of the time Royal Mail will return the parcel back to yourselves marked as insufficient postage. This can take 3 to 4 weeks and if no return address was marked on the parcel you may not receive the parcel back. 2) You have included your order number, contact details and return instructions. 3) your order is parcelled securely to protect the contents, is addressed correctly, and has your own return address on the reverse of the parcel. 4) You have emailed us prior to returning to us to advise us of an order being returned. 5) You are sending via an insured tracked service, and that you have made sure the correct postage has been applied. None of the above diminishes your rights to current legislation under the distance selling regulations. As Quality Silver is a UK based company we adhere to English Law. All Ti2 Titanium Rings & Geti Rings are made to your own specification, in the unlikely event that you need to return the ring, for a refund, exchange of finger size, or any change of specification at all, we will be unable to resell the ring again for full price. Once we have processed your order, we will email you to advise again of the fee, and to check you are happy with your choice of finger size. We will only proceed with your order once we have received your email reply. We would strongly advise that you have your finger professionally measured prior to ordering, you will also need make sure that you are measured with a finger sizer that is a similar width to the ring that you intend to order. If you are in the UK we are also happy to post you a set of professional ring gauges, however these will need to be posted back to us at your own expense. Should you not accept our terms on the restocking fee at the time of order, or reply to our email then we will not be able to proceed with your order. We are unable to receive back for a refund, exchange, or for any other change of specification at all, if the ring has been personalised, engraved or any other custom work has been carried out which is not a standard option as the ring is now unsalable. If you purchase a Ti2 or Geti Ring from our sale section then the price would have been reduced from the current list price already, so no restocking fee will be deducted from your refund. If you have purchased a Ti2 or Geti ring from our sale section and return it for any change of specification, or finger size we are only able to do this if we have your exact requirements listed within the sale section. If you requirement is not available as a sale item, then this would have to be made as a special order at full price resulting in an additional balance to pay. In addition, if returned again it would be subject to our returns fee. If you are returning part of an order where a discount or promotional code was used and your order no longer qualifies for the discount, then the discount will also be removed. Example, we have a promotion of 20% off when you buy 3 charms. Should you return 1 charm and keep 2 then you would not have been entitled to the 20% and as such the discount would also be removed.